In a recent Jamaica Gleaner article (for the Japanese translation click here), writer Howard Campbell refers to me referring to the recently passed sound system operator Cyril “Count C” Braithwaite as an “unsung hero” in Jamaican popular culture. Looking back, I have to clarify that his praises have been sung from Ken Boothe to King Sporty—both of whom claim Count C as their mentor. It’s just hard, I believe, to adequately sing the significance of a soundman who never left his community in over 60 years. The ephemeral nature of a few quotes and newspaper articles do not do justice to the lasting influence of a man like Cyril Braithwaite. Indeed, sound men like Count C don’t just shake the earth with sound, they shake the status quo with their social and cultural power. 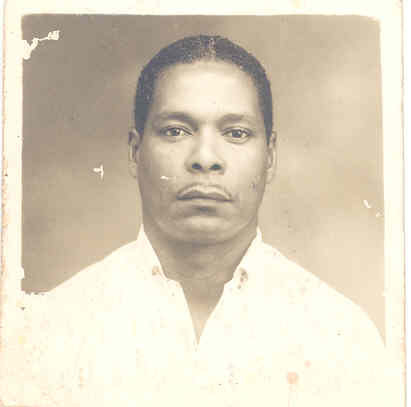 Count C cemented his status in his West Kingston community, and in Jamaican music and cultural history, when he launched the Count C Sound System in 1947. Radio was nonexistent and, even when it did arrive in Jamaica in the late 1950s, few in West Kingston could afford either the box or the pay-as-you-go service. In times like these a sound man like Count C really was royalty. His was a small sound (a few horns and an over-sized, 5ft+ speaker, familiarly called a ‘house of joy’), but he was tough. Count C would never back down from a challenge, even when Duke Reid and the “big dogs” arrived on the scene. Almost more than the music, it was Count C’s commitment and connection to his West Kingston community that stands out. Cyril Braithwaite was born in the 1920s into a family residing in Back-O-Wall, the West Kingston area which became the center of Jamaica’s nascent political power struggle during the transition to independence. Back-O-Wall was subsequently razed in 1963 to make way for the Tivoli Gardens housing scheme. Cyril Braithwaite died January 26, 2011, a resident of 6 Wellington Street, just a stone’s throw from Tivoli. (Indeed, when the Wednesday night/Thursday morning street dance, Passa Passa, used to be held just outside Tivoli on Spanishtown Road, Count C lived so close he could claim to have attended every single one.) Decades after Back-O-Wall was transformed into Tivoli Gardens, the infamous focus of the manhunt for Christopher ‘Dudus’ Coke for much of 2010, current residents still find themselves in a struggle with authorities despite the passage of time and the fact that Dudus was caught last June.